Choose from a variety of handle styles. 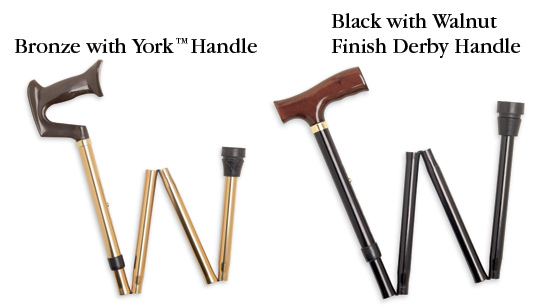 These canes fold for easy storage when traveling. All have height adjustments ranging from 33" to 37" (84 to 94cm) in 1" (2.5cm) increments. Canes support up to 250 lbs. (113kg).